How does everyone feel about Mighty No. 9 as a soul successor? "The western gaming market is better." An overly complicated design and bad animu smug face doesn't lend itself well to a Mega Man spiritual successor. Not quite; it took three years, not fourteen. Honestly, I though the character designs in the games were among the redeeming points. I don't think Beck looks all that bad. Oh yes, Inafune did complain about the Japanese game industry. His words might have held merit once upon a time, had he not worked with Compile Heart (a divisive developer even at their best) and not done this. I actually remember seeing a magazine preview of an unspecified future project of Inafune's (this was before we knew of Mighty No. 9; I'll assume that's the project) and it said if his next project wasn't any good, the Japanese game industry would be out for his head (or something like that; can't remember the exact phrase). I think it's safe to say he's actually worse than those he blasted; say what you want about them, but it seems like they're more realistic with their goals than he was. I've definitely seen worse art than Beck and the other Mighty No.s, no question. For me what bothers me about the design, especially Beck's, is I can feel Inafune's smug attitude seeping from it. I think in general one of my largest pet peeves concerning gaming is people crediting Inafune as the creator of Mega Man when he just solidified a character design already in place. 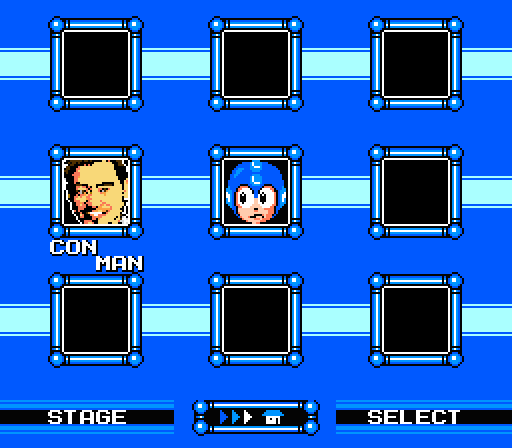 He produced the later games and did the artwork for later robot masters, but he didn't "create" Mega Man. The whole attempt at trying to create Mega Man 2.0 feels like Inafune never really understood why the general design of the masters was good. As people say, he's a businessman, not a creator. He can't pin down what makes a character aesthetically pleasing. He copied a style already in place for several game installments and it happened to work in his benefit. Creating Mighty No. 9 came way too soon after the cancelation of Legends 3 and his departure from Capcom. It's hard to explain why, but the general way the game was first presented on Kickstarter really shows it IMO. Beck's design and expression captures that essence for me, so just everything in general feels more like "Screw you, Capcom, I'll show you the Mega Man formula works!" instead of "I want to continue the legacy of Mega Man as it should live on," like the Kickstarter promised and should have delivered on. My issue wasn't the art but the character design. I just don't think it was a good design for a character meant to be a spiritual successor to Megaman and even taking that out of the equation I don't think the design would hold up on its own. i do like the design of the electricity robot (Dyna, I think?). She's cute. That Might No. 9 trailer parody. The video addresses all the points that were bad with this game, for a game made in unreal engine it should look way better than this. Just what has Inafune done within the past 2-3 years since this game was announced. There are a lot of characters in the game that deserve to be in a better game. Like Dynatron, Call, and yes, even Mighty No. Jigen. I think Beck looks more like an edgy rival than a protagonist. This thread ended on a good note. I'm really curious though, does anyone know if the planned movie is still happening? I dunno if that cartoon is still happening, though I think the studio would do well to just release what's already been completed as a direct-to-video movie, since they might wanna make some money back, and then kill the rest of the project. Trying to find sources on this is rather tough since the last sign of people talking about it have been a few months ago during this summer. Apparently it should be out and about sometime during 2017 not 2016. We'll see though it might take sometime.